2. Click "Get It Now". 3. 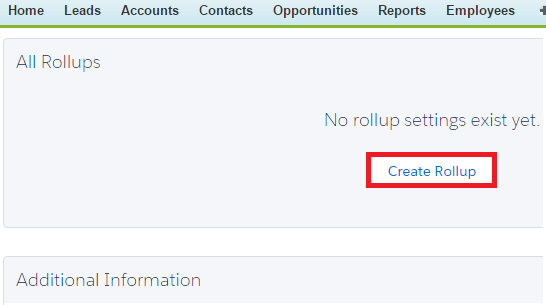 Click "Login in to the AppExchange". 4. Click "Install in Production". 5. 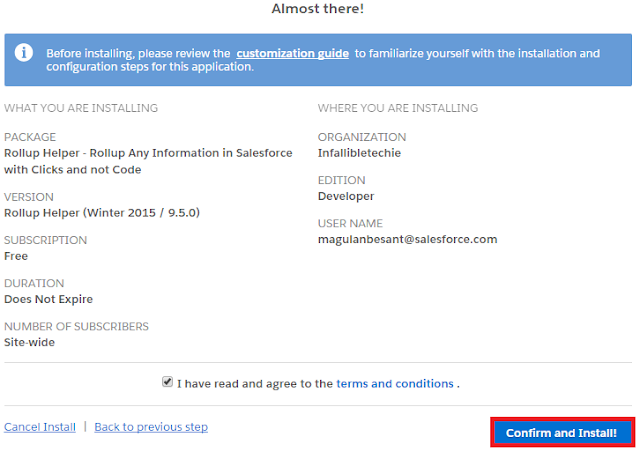 Click "Confirm and Install". 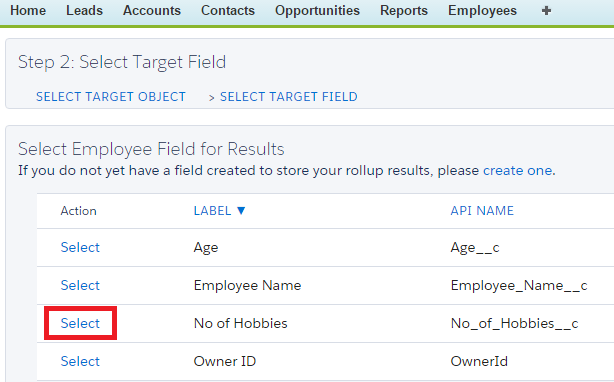 Let's see how to create roll-up fields in Lookup relationship. I have two object Employee and Hobby which are related by Lookup relationship. 1. 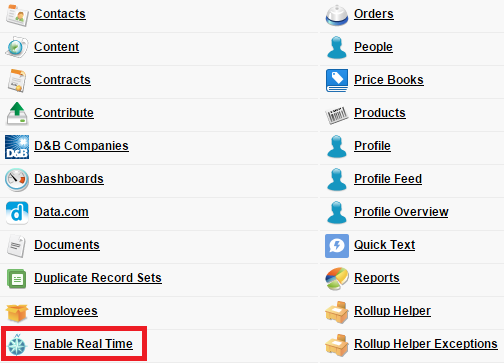 Go to "Enable Real Time" tab. 2. 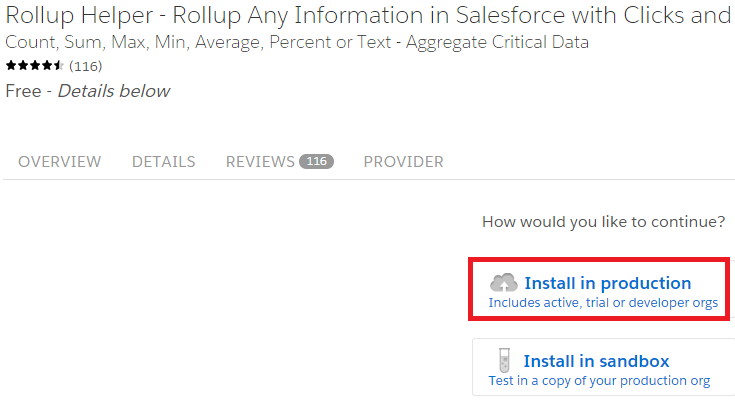 Click "ALL ROLLUP SETTINGS". 4. Select the object for Rollup. This should be the parent object. 5. Select the field to store the value. 6. 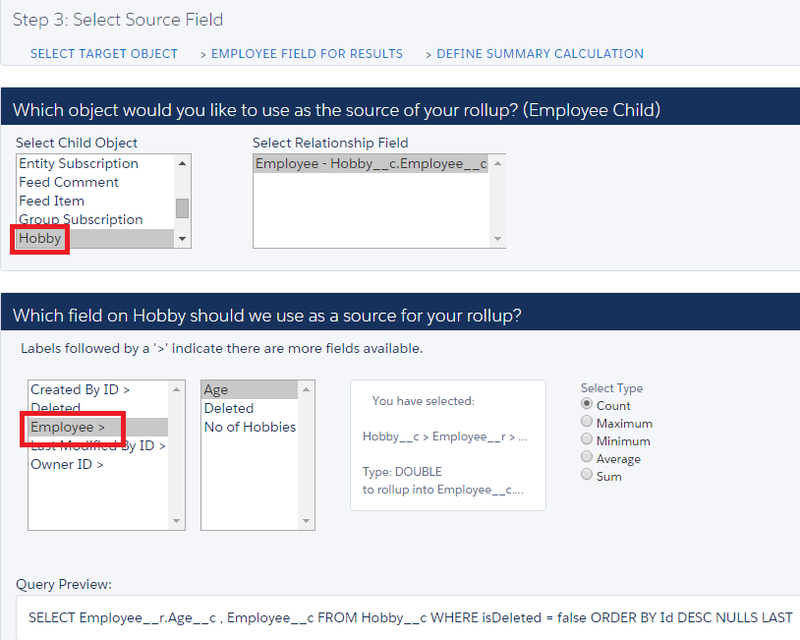 Select the child object and its field for roll-up. Click "Save and Run".